Social media is constantly transforming. More than a place to gel with your friends and family, it has become a place to market your brand and leverage their advantages. But marketing alone won’t make your brand successful. You need to stay updated with the latest trends and technologies and apply them in your business. Today marketing and social media go hand in hand. 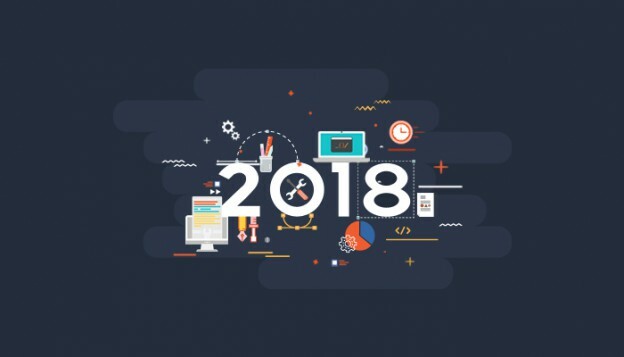 As we’ve already reached midway of 2018, it’s crucial to identify the latest social media trends. In the past one year, several advancements took place: Facebook enticed Snapchat users to use Instagram, Twitter increased its character limits and Google rolled out the mobile-first index. From where I see, mainstream social media will hustle more in terms of new trends and technologies. Brands are embracing augmented reality. Look at Snapchat filters and Facebook’s messenger app- these apps sense the facial area and motion and accordingly add fictional elements to the screen. Games like PokemonGo are one of the earliest examples of augmented reality. I can foresee many changes in social media augmented reality where you get delighted by the real and virtual play. Influencer marketing is blooming — according to some, it is a billion dollar industry. Some people gained engagement, money, fame, and popularity in a blink of an eye. And this isn’t a fluke, these are actual numbers. Brands are looking to partner with micro influencers. Micro influencers, also known as social influencers are those people who have a strong following but aren’t a celebrity. 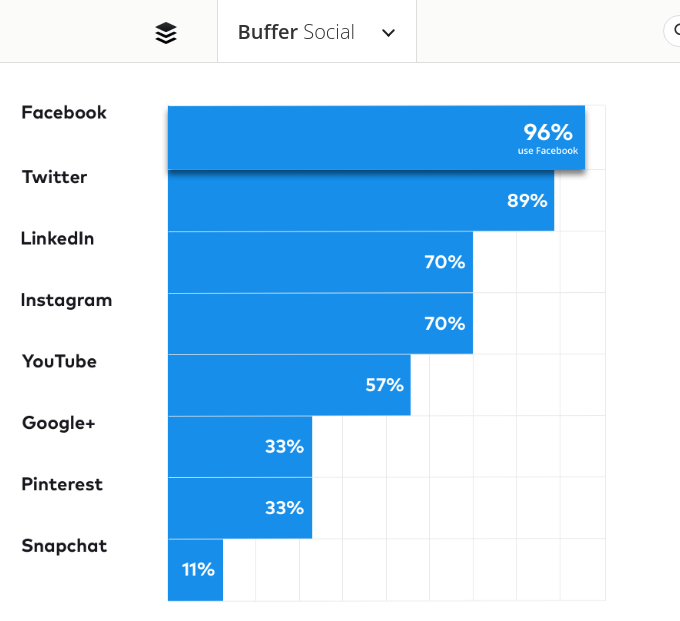 The reason you should partner with a social influencer is that they have 60% higher engagement and you can expect 22.2% more weekly conversations than the average consumer. Another reason to opt is that micro influencers are cost effective. What was once thought to be a fad is now taken into the mainstream in social media era. Today, businesses whether big or small are taking up live video streaming to gain engagement. According to a study, 95% of brand execs say live video is key to their 2018 strategies. As a result, most of the social media channels are having live streaming options and brands are leveraging it. The increasing fame and popularity of live videos mean your company also needs to get on board with the latest trends. You need to recognize and use the platform which gives the maximum engagement to your brand. 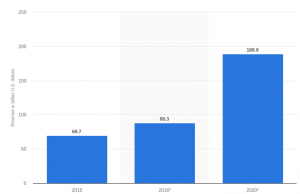 According to statista, 2.5 billion people are using messaging platforms globally. In 2018, brands will invest more time and money in connecting with consumers on messaging platforms. 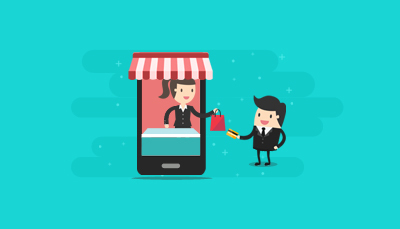 Artificial intelligence, voice search, voice assistants, and chatbots will offer customers a personalized shopping experience. In 2018, businesses need to aggressively post on social media on a daily basis. This is necessary for survival; although not enough. Facebook has more than 6 million users. This is because it has become very easy to set up an add for to a targeted audience. In addition to that, you can also track and analyze the daily report and manage their budgets based on the lifetime of each ad. Social media is constantly evolving. As a marketer, you need to stay updated with the latest social media trends for brand engagement and brand storytelling. A number of other social media trends are also anticipated. One of them could be Twitter changing its advertisement options and algorithms. Also, with the coming of new iPhones, augmented reality stands a chance to become a part of mainstream social media. 1. What is the website all about? 2. Which industry is it deals in? 3. How to contact you? If your website cannot convey these checkpoints within first few seconds, it’s time you realize your website needs a redesign. You might believe your website is too good to go for a redesign. But before you put a stamp, I insist to give a second thought. You created a killer website. You put loads of high-resolution banner images, optimized product images, and checkout pages.But do you see your agendas getting accomplished? If not, you need a redesign. 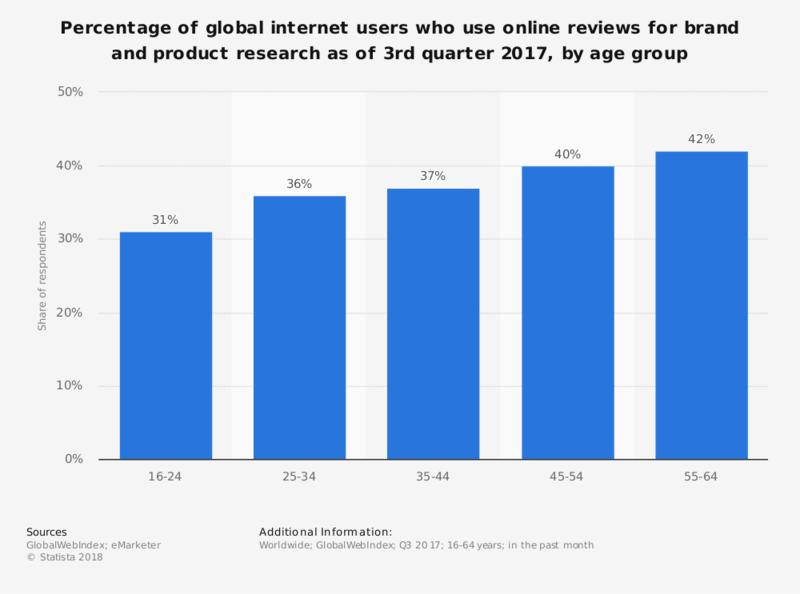 • How often people come to your website? • Are they making any action? • Does your website have more texts and fewer images? • Is it portraying what your business is about? Asking yourself these questions will guide you through the website redesign process. Suppose you visit an online apparel store to buy a t-shirt. You see the products are listed haphazardly. The store isn’t able to convey a proper navigation system. Also, the checkout process is tiring. There’s no option of help and contact. Would you like to purchase from such a website? I think you understood my point. Now act along these lines on your website. Is your website guilty of providing a bad user experience? Always remember people will remember how your website made them feel. Hence providing an excellent user experience is the need of the hour. Product recommendations, hamburger menu, mobile-friendly website, one-click checkout, sticky navigation are some key elements you can focus to improve your user experience. Content is the base of boosting sales and generating revenue. Google is changing its algorithms with each passing day and you also need to pace up. So, if you are planning to incorporate eBooks, Infographics, Video content, a web redesign is advisable. A freshly revamped website not only makes your great content look better but also helps search engines to crawl and index it. Along with this, it increases the readability. With each passing day, there is an advancement in cybersecurity sector. Likewise, Cyberattacks have also increased. This is obvious to say, Cybercriminals are always having an eye on businesses- irrespective of the industry. Who knows, you might be their next target! Ask yourself, “ Can your website withstand cyber attacks”? If no, you need website redesign at the earliest. Ask your developing team to analyze the website’s bug history and the type of attacks incurring to different businesses. Update your site periodically to safeguard against harmful attacks. 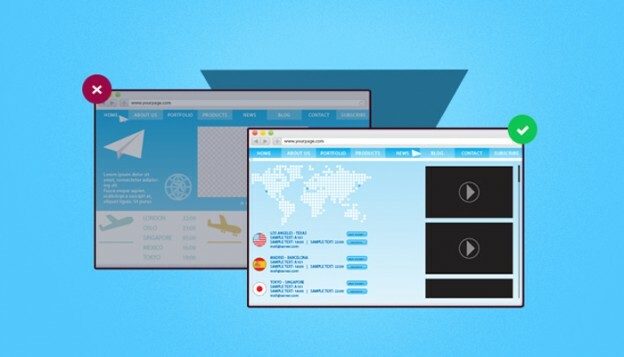 Afterall your website the sole source of generating revenue. Going for a website redesign ensures the safety of your business. A buyer persona is an ideal representation of your target customers based on demographics, market research, and analysis of your current clientele. Your website is the key element for delighting the customer. It helps in creating a positive impression in front of the prospects and deliver your business agendas. Redesigning your website helps in delighting your buyer’s persona and takes them through the sales funnel. Change is the only constant. If you take up this motto, no one can stop you being a thought leader in your business. A website reflects the efforts you’ve put into your business, make sure it turns out to be fruitful. Here are 5 reasons to go for website redesign and the areas where you can improve. Need any assistance with website design? You always have our back. Contact us here. We are almost towards the last quarter of 2016 and it’s high time we deduce what to follow and what not to, in ecommerce web design trends in the upcoming years to come. While we use sliders to bring visitors to the site classy features, the fact is not even 5% of the visitors click on the feature slider and out of which not even 25% of them click the image other than the first one! When they don’t seem to work as per what you intend them to, it’s nice you change them! Among the website trends to follow, one of the most important is the website static content; make sure to put up a strong relevant content; don’t be shocked to know close to 50% of the marketers choose this as the most noticed content on the site. Designing visuals to endorse this static content is important; make a note! Custom pictures are more received than the stock photos are, say the marketers in their strategy for years 2016& above. Make sure you use what is on the trend! Pages flooded with heavy scripts, lengthy sliders, and such distractors are sure to make their way out in a visitor view. Make sure you have none of them & not to lose the hold you have on the visitors! Social media files, videos, images relevant to the website are gaining a high importance today, say the marketers. Try to include them to support your web content; make sure you include only apt stories/supporting media and not for the sake of inserting them in! Card layout on websites, one of the most received website trends brought out by Pinterest, is running really high because it gives the related information in different pieces so as not to flood the visitor read and letting them easily scan what he/she wants. It also lets the designer to modify their design on the page quite easily; be happy to know it’s the best for responsive layouts. A decent amount of scrolling as per the needs of the site is very much acceptable since users are well-used to the mobile/smart phone usage today. Having only the necessary elements on the fold, it’s good to have supporting stories after a scroll so it even creates a curiosity in the user as to what story the company has to tell him! Don’t overdo though! Background videos without audio, having on-page links, buttons, text, giving way to lighting, and cinematography effects are well suited to explain complex structures in an enthusiastic manner! While we may be aware of these trends, it takes some time and effort to put them up at the best to get the best of the estore! Are you excited enough to start your next website project or looking for a facelift to the existing website? Ask us now for we assure the best in web facelift services and much more in ecommerce! Evolution of Web design right from 1990 has shown us a lot of trends and today website giants like Amazon just know what works the best in website trends & do use it to their benefits! 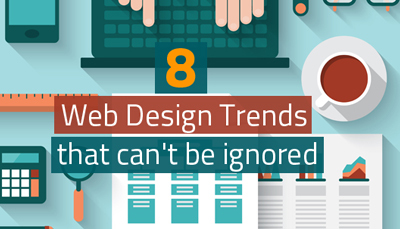 So what should you ignore in web design trends? Loading screens in home pages are too slow for a site to begin with. Smartphones being the highest point of entry of a visitor onto a website, loading screens could leave the site with slower loads, weaker hardware, slowness due to limited data plans and overall a poor web performance. Ignore loading screens! 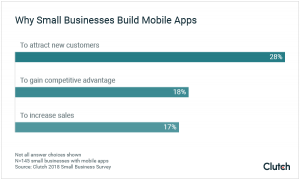 Among the website trends to ignore, mobile popups are the next in queue. While marketers may think they do good, users comment they do more harm than good. They eat up the whole screen space, wait for everything else to load causing interruption to read on the main web content already loaded. While you may need to use them, try ways to put them less intrusively! Parallax and scrolling modes of the pages when overdone is a big headache to the users. Even if used, it’s not for the mobiles but for desktops only! Using lightweight codes is a must even when used on desktops so you don’t stand out giving a sorry figure to the people! Auto play media files on home pages are the most annoying to the users because to the multitasking users it’s a distractor or something that forces them to do something & they definitely wouldn’t end up doing it rather they do hit the back button & get flushed out of the site! To manage the less space for navigation menus in small screens, mobile designers took up to hidden menus; this is a very bad idea as it creates a bad impression to the user who has to click an extra time to view every other page. It’s good to keep away from such designs! Bid a bye to Mobile version of websites! They are not received as much as the responsive websites are! Responsive designs provide the best layout and the ultimately optimized experience! Heavy texts on websites is no more an interest to the people! Cut down the text and resort to interactive images or smart art form of messages! SEO copywriting is something to be given a farewell. Use the right content on messages, copywriting to be used to build up the brand and not focus on SEO exclusively! Old pay per click is not received anymore. Focus on contextual advertising, targeted ads and online content specific to intended users! The technological giant Apple favours flat UI instead of skeuomorphism; keeping away from gradients and using cleaner simpler designs are received today! 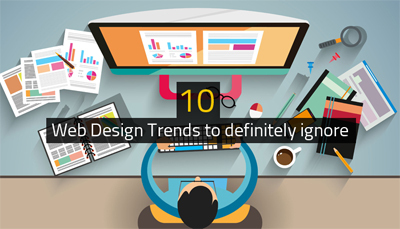 It’s high time you bid bye-bye to these design trends and incorporate the trends a pro-business would do today! If you require assistance in such web facelift services, ask us now for you are assured the best! 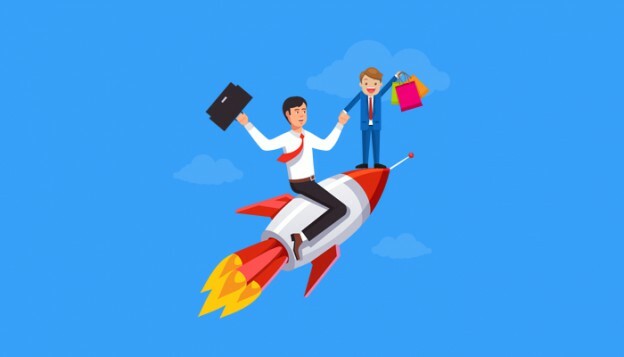 Every company takes an immense effort in projecting or marketing the company’s offerings, by all means, in all directions, during its first time launch to reach the maximum people possible. The company website launch is a part of this venture for which the teams spend a lot of effort to get the best site. But then what happens if this is left as such even after years together? Not upgrading the website periodically does affect the business; Beware! 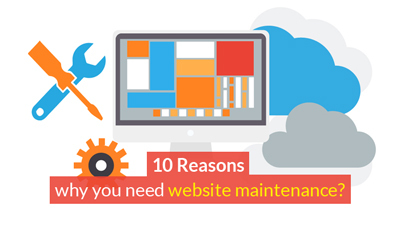 Website maintenance is important why? Without the latest/recent hand of experienced professionals on web pages redesigning, image updates or so, the site tends not to give the competitive edge it once did! CMS Website maintenance is necessary to keep the content fresh, unique and up-to date with the trends. Performance checks, report generation, and regular support is needed to have the site safe and competitive! Bug removal, troubleshooting in case of breakdowns to control downtimes are to be included as a part of the maintenance to keep the site fresh & performing. Website backup saves effort, time and money in case of failures. Maintenance makes the site stand apart amidst others in the market. Hiring professionals to do these is always a better option than doing it ourselves for the simple edge of expertise they execute in the journey. Maintenance, not only addresses the bugs but also saves you from falling for a big unexpected failure all of a sudden due to the site being very old. Repairing and rebuilding post a failure is a tragedy! Without maintenance, forms may start malfunctioning, notifications & other important modules may go offline for no obvious reason, and all may end up in you losing sales. Don’t let it happen! User experience is a big aspect that needs to be looked into when you ask “why need website maintenance“. Website being the first point of contact for the customers is the first impression he/she gets. Potential customers may start walking out of the site if they get fed up with a site looking as tired as they look! Visibility enhancement to Google & other search engines can happen only when the site looks fresh and new! Regular maintenance post the website development could be made easy with quarterly, semi-annual or annual plans where the payments could be handled easily too. Needless to say, regular maintenance in web development is needed because it adds a lot of value to the site, company and you saving you time and money in a long term. If you require assistance in web maintenance services, ask us now! 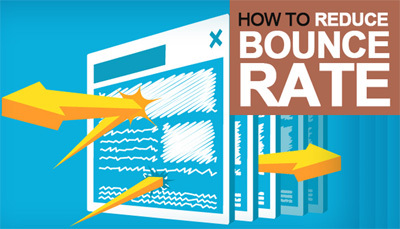 Bounce rate of a page is the ratio of number of bounces on the page to the number of entries into the page. Bounce rate of a website is the ratio of number on all pages of the site to the number of entries considering all pages of the site. Bounce rate isn’t about the time spent on the site as everyone usually misunderstands. A higher bounce rate means the content on the entrance page of the site isn’t convincing to the visitors. Though it may be tough to get a bounce rate of lesser than 20%, between 35% and 50% is of a little concern while anything above 50% is sick, as per experts say. How to keep visitors engaged on website? How to reduce bounce rates and go positive towards website conversions? Keep the website visuals quite appealing; ensure it has a pleasing look and easy navigation. Care to be taken while choosing the web theme having text legible enough and looks neat & clean. Putting the design for a test among peers can help you know a 3rd person view to make further amendments If any. Don’t let people feel as if they are going through a maze while they navigate through your site. Intuitive navigation is a must! Apple is known to have one of the best navigations! Pick out the most important pages of your site, label them aptly and put them in the navigation bar. Don’t flood the bar content, rather create sub menus under the ‘relevant’ main menu very importantly! Internal links between the website pages and the pages you want the visitor to look at next is necessary. Hyperlink to the right url on required pages connects the readers more to your site and gives them the confidence they can get what they want from you. WordPress link creator or SEO plugin may help you here. Creating relevant content which is powerful and complete enough for the context, the website is designed for, is extremely important. Google’s ranking algorithm chooses the web pages with the most relevant content, for its display on first few SERPs. Keep yourself in the customer shoes while choosing the content for a subject and make sure you get the maximum possible out of what you put in! Apt headings on posts/pages is necessary in order to give a good understanding to the reader of what is beneath it. Rather than making a creative or a fascinating headline, make sure to write a neat & clear one; what’s the point if people don’t understand the title you have put? Structure the content for an easy read by using the apt sub titles, crisp sentences, paragraph break-ups as applicable, bulleting/numbering as required, and images wherever possible & relevant. Make sure to include different varieties of content like audio clips, video files, pictures wherever suitable so as to not to give a boring full-throw content to the visitors. Ensure to have a CTA button/link at the end of each post, be it an action box for a newsletter or an email sign up, or a ‘contact us’ or a ‘buy/purchase’ button or any that is relevant. Adding related posts/previous post feedbacks/previous share information on the applicable posts can be a way people can connect much better to the content you provide. Creating a section for popular items can get the reader fascinated towards them & thus stay longer! While creating pop ups for collecting user information, keep in mind pop ups are quite a harsh way of collecting the information. So unless you give the people ultimately a great content, the detail you have collected is of no use! Creating a great website with all the best features or redesigning websites towards giving a responsive web design isn’t complex but requires the expertise in the right direction. If you are looking for a website facelift /redesign/ or any other ecommerce services in view to increase website conversions, ask us now at QeHTML! 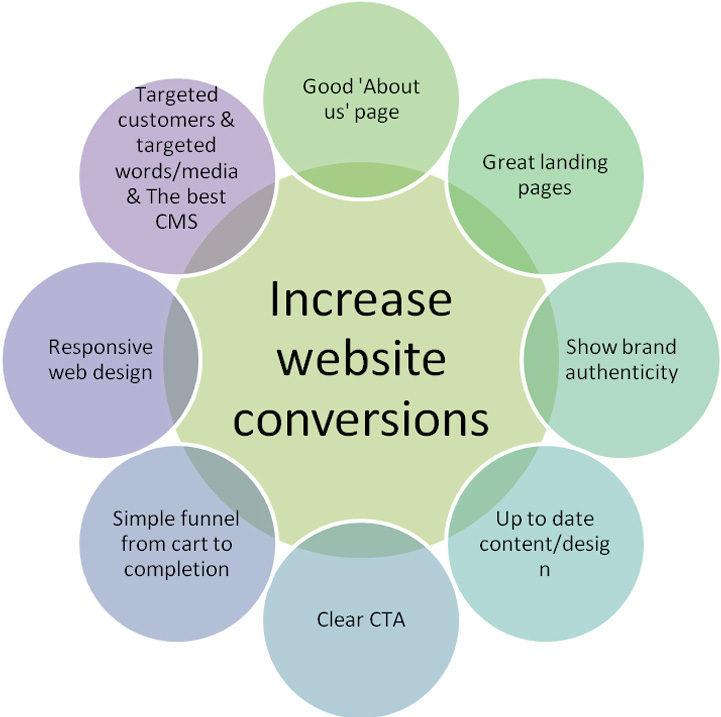 Website conversions are the heart of every business & to improve website conversions in a frequent interval is necessary in order to keep in par with the competitive business market look-ups & the growing customer needs. 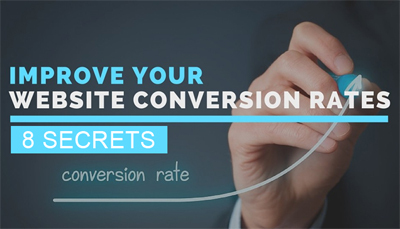 Let’s take a look on a few tips/secrets to soar your website conversion rates! Website types are of 2: Branding ones purely to create brand loyalty and awareness which takes a lot of time and money and Direct response types which are built such that they intend to grab the people response right away. Direct response websites are built using the maximum possible number of words needed to ‘sell’ a site, targeting a specific crowd towards a specific action with the end goal of leading to sales. Calling, filling forms, signing up for mails, using a coupon or anything of this sort can be the action made possible. Make sure to have direct response sites. Ensure to have a responsive web design. This includes redesigning website post evaluation of the right font size, font colour, background colour, right colour contrast, compatibility on various browsers and in various mobile devices, load times for various internet connections of which making a mobile friendly website/user friendly website/ all device compatible website is the most important keeping in mind the smart device soar today! Capturing leads at very good rates is possible by sending people to well targeted landing pages? Yes. Offers not gated through the landing pages don’t support the leads; landing pages are the collection tools! Every form signed up on the landing page is a conversion number gained. Tracking reconversions of available leads is via landing pages only. 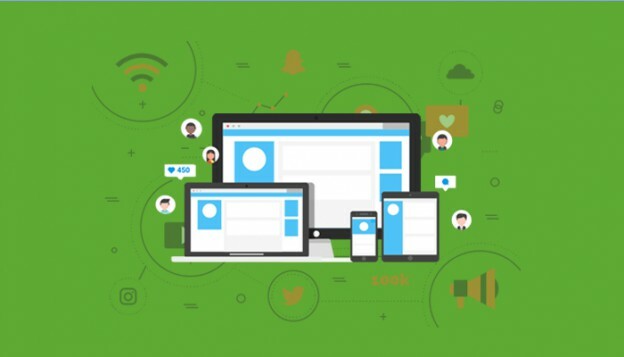 Social media shares, PPC ad links, organic search connect and much more are achieved by the landing pages. Make sure to make them the best! Call to Action buttons in the same colour as the site headline/logo with all the elements off the page as with Dropbox, slide-in-call-to-action that asks you to stop all else but click on this button, having the right font and wording on the CTA button, suitable surrounding design/images, having not many elements bright or gaining attention in addition to the CTA buttons are all some basics to have the best CTA. Do you note? Ensuring your online presence is for an authentic brand, having open transparent communication, answering for mistakes & rebuilding connect with genuineness like how Dominoes did are all important in going towards high leads. Dominoes’ financial generation on brand authenticity showcase has been enormous! Make sure your sales and marketing team is in line with your business goals. The content you try to present/sell should be honestly actionable and applicable. Don’t try revenue even before relationships! Having a simple yet effective ‘About us’ page and doing a website facelift/ redesign to keep up to the ecommerce trends are important in view to increase website conversions. About us page should really reflect not just who you are but more importantly what you can do for the people. When you see a lesser sale or high bouncing rates or non appearance in top 2 SERPs, or any of these sorts then get alarmed you need to do a redesign of the site! Now that you know some of these basic checkpoints towards seeing a higher website conversion rate, are you sure to have the apt expertise to achieve the goal (for web redesign or CMS build or any) at an ideal time and effort? If you think you need a support, ask us right now at QeHTML for you can be sure you would get the best!